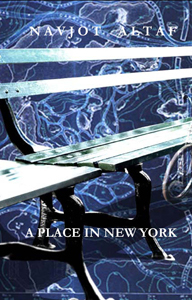 ‘A Place in New York’ is an outcome of an interactive project Navjot Altaf did during an eight week residency in 2008. Done shortly after her project Bombay Shots in Mumbai what intrigued her here too, was people’s interest in a dialogue and the richness of heterodoxy of the city and how coming from diverse cultures and backgrounds they make both Bombay and New York the most vital cities. Price Rs. 400/- + postage Rs. 200/- in India. © 2002 The Guild. All rights reserved.